We’re proud of our innovative past and remain focused on a responsive future. 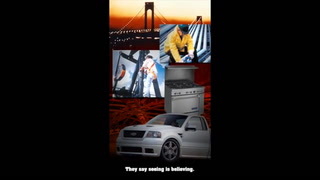 As one of U. S. Steel’s oldest business lines, U. S. Steel Tubular Products is proud of its past, yet focused on the future. We take pride that we introduced the first seamless drill pipe to the oil and gas industry before World War I, and that our 1963 Buttress Thread, which was adopted as an API standard, remains the foundation for many of the industry’s premium connections. Beginning as an ambitious conglomerate that quickly became a part of the world’s first billion dollar corporation, U. S. Steel Tubular Products will continue striving to anticipate and answer our energy customers’ needs. In 1899, two entrepreneurs, lawyer William Nelson Cromwell and banker Edmund C. Converse, merged 13 small companies operating in the “wrought steel, iron and tube industries” and combined them into the world’s largest producer of tubular products: National Tube Company. The National Tube Works Company in McKeesport, Pennsylvania lent its name to the enterprise. The conglomerate was capitalized at $80 million and employed more than 25,000 men in Pennsylvania, Delaware, New York, West Virginia, Ohio, Illinois and Virginia. The ambitious new company was the dominant player in the domestic market for tubular goods and also supplied oil producers in Bulgaria, Canada, China, Japan, and Russia and was primed to “sell merchant pipes to all the other nations of the world”. U. S. Steel was formed in 1901 and then absorbed the National Tube Company, making it a major player in tubular steel products. U. S. Steel originated from the dealings of some of America’s most legendary businessmen, including Andrew Carnegie, J.P. Morgan, and Charles Schwab. Elbert H. Gary was the principle architect of U. S. Steel, as well as its first chairman. In 1901, a group headed by Gary and Morgan bought Carnegie's steel company and combined it with their holdings in the Federal Steel Company. These two companies became the nucleus of U. S. Steel, which also included the impressive National Tube Company. When founded, U. S. Steel was the largest business enterprise ever launched with an authorized capitalization of $1.4 billion. In its first full year of operation, the corporation made 67% of all the steel produced in the United States. U. S. Steel’s tubular division operated under the National Tube banner for many years before officially becoming U. S. Steel Tubular Products. U. S. Steel Tubular Products has been contributing innovations and inventions to the energy industry for more than 100 years, from supplying pipe for some of the earliest pipelines in the nation to helping build the foundation for most of the world’s premium threads. Seamless Steel: The National Tube Company produced the first seamless steel drill pipe in the oil industry in 1914, followed shortly by the development of the first seamless steel couplings. U. S. Steel Buttress Thread: U. S. Steel’s innovative casing joint called the Buttress Connector was patented in 1956. In 1961, the American Petroleum Institute (API) Committee on the Standardization of Tubular Goods recommended that the U. S. Steel Buttress Thread be adopted as an API Standard for Grades J–55 and higher in casing sizes 4-1/2" through 13-3/8". Innovative Research Facilities: Realizing the importance of scientific discovery, U. S. Steel opened its first research laboratory in New Jersey in 1926. In 1956, The Research and Technology center moved to Monroeville, Pennsylvania, quickly growing into one of the largest research and development centers in the world. Today, the company’s research team resides at our Research and Technology Center in Munhall, Pennsylvania. Product Improvement: In 1966, U. S. Steel released improved buttress tubing thread, which offered a tight hydraulic seal. The thread could handle extremely high axial thrust and withstood high–pressure conditions frequently found at oil drilling sites. Production Expansion: Purchased Dallas, Texas-based welded tubular products maker Lone Star Technologies, Inc. in 2007. This acquisition made U. S. Steel the largest tubular goods producer in North America, with total annual capability of 1.9 million net tons. Premium Application: The USS-PATRIOT TC®, U. S. Steel’s first premium connection capable of handling the stresses of contemporary drilling applications, was introduced to the market in 2010. Turnkey Solutions: The Accessory Shop at our Offshore Operations location in Houston was opened late 2015 to support a rapidly growing need for critical accessories and services for our portfolio of proprietary connections. In addition, this purpose-built facility offers premium threading and other ancillary services such as computer float equipment buckling, export offshore packaging, and pipe maintenance. Maximum Performance: In 2017, the USS-EAGLE SFH™ was introduced as U. S. Steel's first semi-flush premium connection. Designed for horizontal and clearance critical wells, it is capable of handling the stresses of today's drilling conditions with maximum torque capacity.